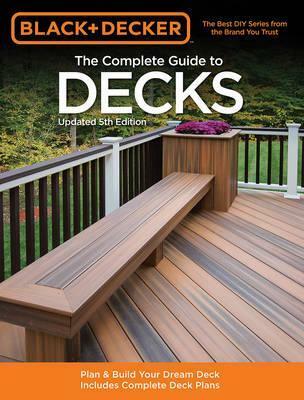 The most detailed, most current and most complete deck building book on the market. It reflects the latest changes in building codes and it features deck building materials that are popular today. The additional two signatures (32 pages) contain all-new deck plans with complete plan drawings. Updates to the materials section focus on new composite and non-wood deck building alternatives, as well as the current generation of deck hardware that resists corrosion caused by non-CCA pressure treated lumber. Step-by-step projects feature clever ways to customize and accessorize your deck to enhance both utility and enjoyment. Creative Publishing international (CPi) is a worldwide publisher of how-to books. The company's current retail offering includes over 300 titles on topics covering home improvement, home decorating, sewing, crafting, hunting & fishing, and photography. Over the past 15 years, CPi has developed high-quality photography step-by-step books with nationally recognized brand partners like Black & Decker and Singer.